The novella, Harriet Chandler is an accomplished, innovative and hybrid text that Moya Costello wrote for her PhD and has now published in her own press, Short Odds Publications. There is so much to say about the work and much to read that MC has written about writing, publishing and this particular text, more than this review can encompass. Moya Costello and I were both in the Sydney Women Writers’ Workshop (aka The No Regrets Group) in the 70’s and 80’s and Costello was then an emerging experimental prose writer. She shared the feminist values of the group that she describes as having “a radical critique of the industry context of their creative work”. In 1985, my press Sea Cruise Books published her first collection, Kites in Jakarta. At the time, it became obvious that Costello was not an author who would be distant from the production and distribution processes. So setting up her own press and publishing her work independently in the way she wants it to be read, is a logical and commendable trajectory. Probably the best way to get innovative work into print, without editors trying to beat it into an ‘acceptable’ shape. The feminist writers in our group at the time were reading the French feminist philosophers and we generally agreed that the prevailing literary forms like conventional narrative perpetuated a patriarchal consciousness. We looked to writers of experimental prose, those of us who wrote prose, to explore models we could work with. We were interested in writers who wrote discontinuous and disrupted narratives, ones who used a collection of different genres, and people who produced what Moya Costello calls prose poetry, that she says “work(s) via intensity and resonance”. Costello certainly employs experimental/innovative ideas in her work but has moved on from those feminist ideas about literature into what she calls eco-criticism or eco-fiction, seeing this project as a political act that addresses the environmental problems of the planet. Like her academic writing, this novella is thoughtful and highly wrought. The use of the Harriet Chandler character is contextualised in a unique way, being the child of 50’s Sydney Communists. Unique, because that kind of family is rarely characterised and in this book, is shown as the idealistic base for Harriet Chandler’s thinking. That is the start of the departure the book takes from the minor character in Murray Bail’s novel Holden’s Performance. And although it makes considerable inter-textual reference to his novel, its idealism soars way above Murray Bail’s depiction of Adelaide and South Australia as an unlovable landscape, plagued by drought and fire. It is entirely logical in Costello’s invented context, that Harriet Chandler would be the feminist activist she becomes in both novels and the groundbreaking artist in Moya Costello’s novella. Costello has a playful and humorous way of contradicting and dismissing elements of the Bail novel that don’t quite suit her purposes, like Bail’s suggestion that Harriet Chandler was married to the owner of a newsreel theatre; Costello simply denies it. It’s hard not to compare the Costello text with the Bail text when the reader knows there is a connection. Costello is a truly innovative writer, taking risks that Bail does not. She mostly dispenses with plot whilst Bail imposes a farcical and unnecessary narrative on his work. Maybe this is because the books are both products of their time. But both works are very focused on descriptions of physical environments, both make use of extensive listing and documenting of place. In the Bail text, it is Adelaide, in the Costello text, it is Manly and generally the aquatic landscape of the NSW east coast. Both writers are riffing on the places they know. Bail creates intricate descriptive images of landscapes.Costello uses her lists as a catalogue of natural items that serve a conservationist purpose. Ivor Indyk, writing of Bail’s work, says, “This encyclopaedic display is so relentless it doesn’t really allow for a plot.” He suggests that the cataloguing strategy pulls against the logic of a plot. The strength of Costello’s novella is that plot is almost absent and not imposed artificially on the material that she obviously wants the reader to deal with. MC takes the Harriet Chandler character that was in Holden’s Performance (a “creation of a masculine fantasy” in Indyk’s words) and places her front and centre, amazingly recuperated as a feminist heroine. Some kind of magic! The chronological aspect of the book is also rather loose and whilst we’re suddenly brought up to the present by the final article in the present that traces Harriet Chandler’s career, the rest of the novella moves fluidly across time. The nature of the characters, their attitude to art and the art they produce, their conversations and concerns, seem more recent than they should be if the work was faithful to the period. For that reason, the work addresses itself to the concerns of the contemporary reader rather than recreating a period piece. 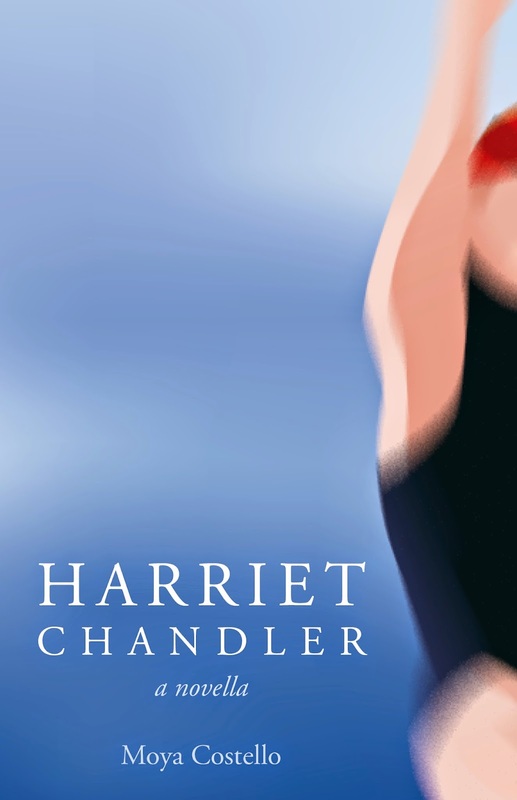 Harriet Chandler is a work that will take its place in the tradition of innovative Australian feminist literature but also provides a new take on nature writing and writing on the Australian landscape. This entry was posted in Anna Couani, Harriet Chandler, Issue 16, Moya Costello, Short Odds Publication and tagged Australian Fiction, Australian Womens' writing, eco-fiction, Feminist fiction, Holden’s Performance, Murray Bail, Sea Cruise Books, Sydney Women Writers Workshop by Mark Roberts. Bookmark the permalink.